Why need to make a recovery partition? It’s a troublesome task to reinstall your operating system, programs and settings after your computer break down. Making a factory recovery partition helps you store a copy of important data of your computer and you can restore your computer in an easy way to save you a lot of time. We can backup our system partition (usually the C partition) with the operating system and the software on it and then restore system to the previous state. In addition, you can use the Windows tool to create a recovery partition but it is not so easy to use, the steps are too complicated and it’s difficult for those computer greenhands. 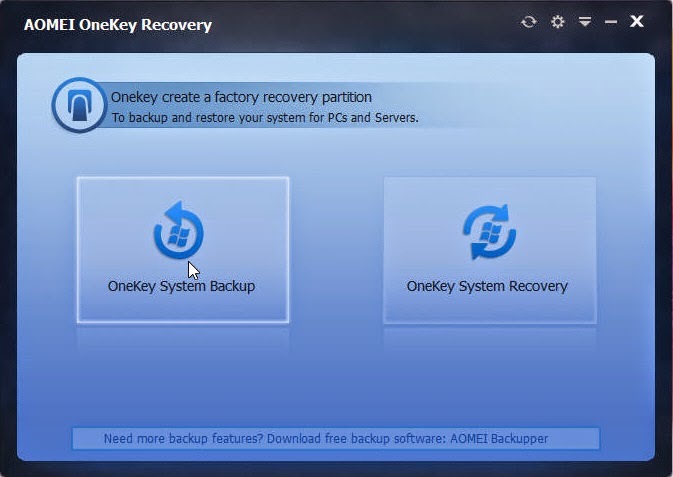 Moreover, different brands of computers have different backup and recovery tools, more people prefer to use a third-party software, like AOMEI OneKey Recovery to make things easier. 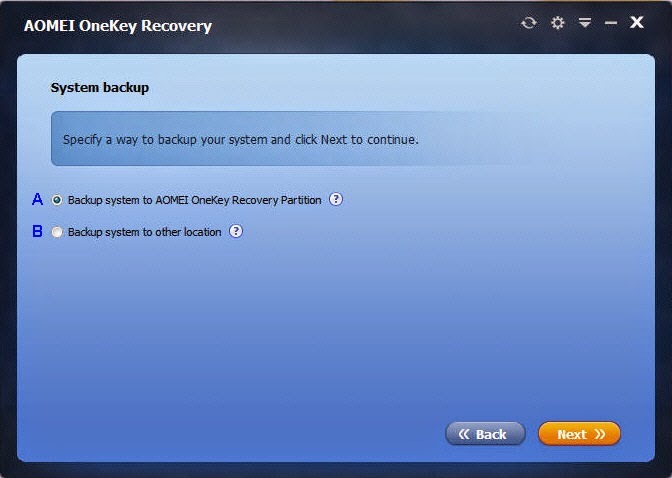 AOMEI OneKey Recovery is a free and easy-use software designed to back up and restore your system, which supports all Windows PC operating systems, including Windows 8.1, Windows 8, Windows 7, Windows Vista, and Windows XP. You can use it to restore the system partition to its original status in case of a system failure. You can also create a system state backup for easy restoration as required. The interface of AOMEI OneKey Recovery is very simple, just reflecting that it is easy to use. The software is ideal for those computers that do not have a recovery partition. The OneKey Recovery allows the C: drive to be backup and then a partition created to allow you to restore your computer in the event of a crash. The software is fairly simple to navigate, but I would caution anyone is has no idea what they are doing to make sure that do adequate research before using this software. You’ll want to ensure that you use the correct option for your situation. If you are interested in finding out more information about this software, please feel free to visit the AOMEI Technology website.